22, of Brentwood, N.Y.; assigned to the 2nd Battalion, 22nd Infantry Regiment, 10th Mountain Division (Light Infantry), Fort Drum, N.Y.; killed March 18 when his team came under small-arms fire while clearing a village in Dehrawood, Afghanistan. BRENTWOOD, N.Y. — Two weeks after he telephoned his mother to warn her he was going out on a “bad mission,” Army Sgt. Michael J. Esposito Jr. was remembered at his funeral Monday as a fiercely loyal soldier who had already served in Kuwait when he re-enlisted after the Sept. 11 terror attacks. Esposito, 22, was the first soldier from Long Island to be killed in the fighting in Afghanistan; two other Long Islanders — also from the Brentwood-Bay Shore community — have died in the war in Iraq. Esposito and Staff. Sgt. Anthony S. Lagman, 27, of Yonkers, died when their unit came under fire on March 18 in the Hindu Kush mountains. Both men belonged to the 2nd Battalion, 22nd Infantry Regiment of the Army’s 10th Mountain Division, stationed at Fort Drum in upstate New York. They were participating in a mission to drive out remnants of Taliban and al-Qaida forces in the area. Twomey explained that Esposito announced to his parents a month before his 18th birthday that he had enlisted in the Army. He served three years, including a six-month stint in Kuwait, and was eligible to spend three years in the reserves, but decided to re-enlist because of the Sept. 11 attacks. Cathy Heighter, whose son, Cpl. Raheen Tyson Heighter, was killed in northern Iraq last July, noted that both her son and Esposito were graduates of Brentwood High School. Pfc. Jacob Fletcher, of nearby Bay Shore, was killed Nov. 13. 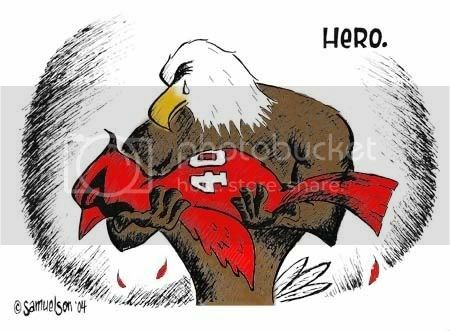 Pat Tillman was KIA in Afghanistan 22 April 2004. I was about 100 miles west of his location when this happened. We were going on a long range patrol to stop the Taliban from attacking the Greek road workers who were working on the Afghan highway system between Kabul and Kandahar. Last edited by Ndnsoldierboy; 05-02-2016 at 07:19 PM.. Reason: Added photo to post. 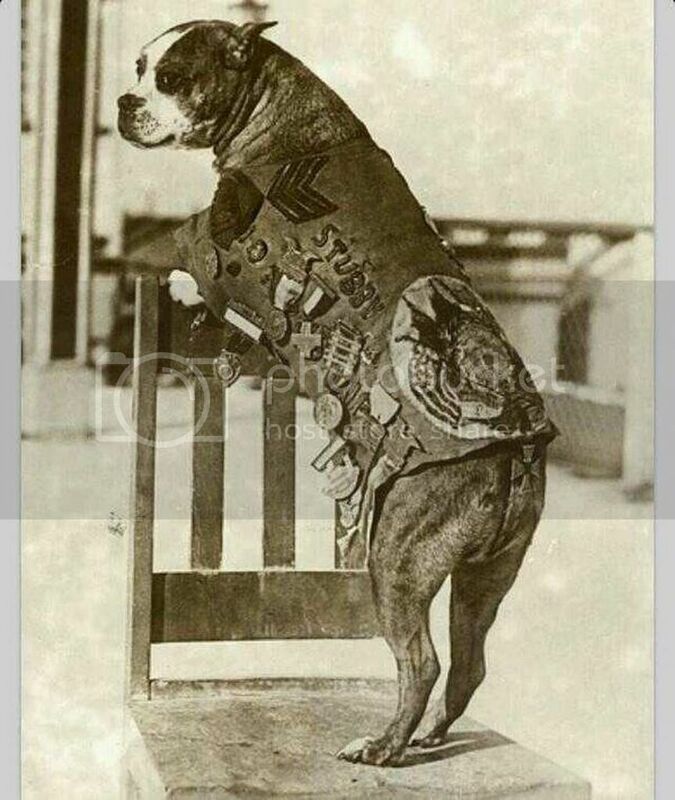 This WWI war dog fought in 17 battles and was wounded twice and captured a German soldier. 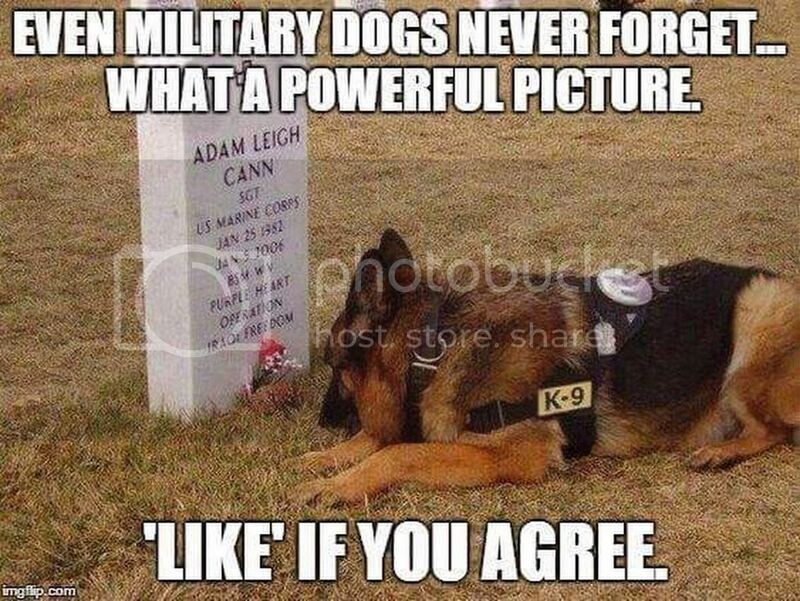 An amazing dog for sure. Last edited by Ndnsoldierboy; 04-24-2016 at 06:49 PM..
just like a bear Wojtek which during the Second World War during the battle of Monte Cassino bear Wojtek helped soldiers carry boxes of ammunition animal well understood issued his commands. John Vessey began his military career in the Minnesota National Guard in 1939 when he was still 16. He received a battlefield commission during the Battle of Anzio in World War II. He served in the Korean and Vietnam Wars, earning the Distinguished Service Cross in Vietnam. As a Lieutenant Colonel, he graduated from college in 1963 at the age of 41. From 1979 to 1982 he was the 17th Vice Chief of Staff of the Army. He served as the 10th Chairman of the Joint Chiefs of Staff from June 18, 1982 to September 30, 1985. When he retired in 1985 at the age of 63, he was the last four-star World War II combat veteran on active duty and the longest serving active duty member in the United States Army. The President of the United States of America, authorized by Act of Congress, July 9, 1918 (amended by act of July 25, 1963), takes pleasure in presenting the Distinguished Service Cross to Lieutenant Colonel (Field Artillery) John William Vessey (ASN: 0-65047), United States Army, for extraordinary heroism in connection with military operations involving conflict with an armed hostile force in the Republic of Vietnam, while serving with 2d Battalion, 77th Artillery, 3d Brigade, 4th Infantry Division. Lieutenant Colonel Vessey distinguished himself by exceptionally valorous actions on 21 March 1967 while serving as a Battalion Commander during a combat mission near Suoi Tre. During the early morning hours, Colonel Vessey's battalion received a massive assault by a Viet Cong regiment. Although more than 200 mortar rounds fell, Colonel Vessey fearlessly moved through his unit area, first to alert his men, then to direct various phases of the defense. When vital howitzer positions were destroyed by hostile fire, he rallied men from other sections to man the guns, and he himself assisted as a cannoneer. He was wounded during this action, but continued to lead and fire the artillery pieces. At one point, he spotted Viet Cong rocket launchers that were placing devastating fire into the battery perimeter. He seized a grenade launcher, moved into an open area and knocked out three of the insurgents' weapons. When an enemy tracer round ignited a drum of diesel oil and threatened to set off two drums of explosives nearby, Colonel Vessey ran to that highly dangerous point and helped move the drums to safety. His professional command and courageous fighting throughout the battle were instrumental in turning back the numerically superior enemy force and killing more than 600 Viet Cong. Lieutenant Colonel Vessey's extraordinary heroism and devotion to duty were in keeping with the highest traditions of the military service and reflect great credit upon himself, his unit, and the United States Army. WASHINGTON — The details of the heroism that will see Charles Kettles awarded the Medal of Honor at the White House come back clearly and quickly even five decades later. The White House announced Tuesday afternoon that Kettles would receive the award from President Obama on July 18. Kettles, 86, recalls the events of May 15, 1967: flying his UH-1 helicopter time after time after time into dizzying, withering fire to save the lives of dozens of soldiers ambushed by North Vietnamese troops in the Song Tau Cau river valley; nursing the shot-up, overloaded bird out of harm’s way with the final eight soldiers who’d been mistakenly left behind. Kettles, born and bred and retired in Ypsilanti, Mich., remembers how he felt after he touched down nearly 50 years ago for the last time, finally safe. Unrattled and hungry. “I just walked away from the helicopter believing that’s what war is,” Kettles told USA TODAY. “It probably matched some of the movies I’d seen as a youngster. So be it. Let’s go have dinner." Kettles’ actions were documented and saluted long ago. He was awarded the second-highest award for bravery, the Distinguished Service Cross. And that, he thought, was that. Kettles completed another tour in Vietnam, retired from the Army as a lieutenant colonel and opened an auto dealership with his brother. That's where the story would end, if not for William Vollano, an amateur historian who was interviewing veterans for the Veterans History Project. Vollano's prodding led the Army to reopen Kettles’ case and determine that his actions merited the Medal of Honor. Coincidentally, the military is also reviewing the actions of hundreds more troops in the post-9/11 era to see if they, too, should receive upgrades of their service crosses and Silver Stars. On that May morning in Vietnam, Maj. Kettles’ and several other helicopter pilots ferried about 80 soldiers from the 1st Brigade of the 101st Airborne Division to a landing zone near the Song Tra Cau River. The river, just eight or 10 feet above sea level, drifted past a 1,500-foot hill. Hundreds of North Vietnamese soldiers, dug into tunnels and bunkers, attacked the Americans with machine guns, mortars and recoilless rifles. “Two or three hours after they were inserted, they had been mauled over and the battalion commander called for reinforcements,” Kettles says. Kettles volunteered to fly in reinforcements and to retrieve the wounded and dead. As they swooped in to land, the North Vietnamese focused their fire on the helicopters. Soldiers were killed before they could leap from the aircraft, according to the official account of the fight. Air Force jets dropped napalm on the machine gun positions overlooking the landing zone, but it had little effect. The attack continued, riddling the helicopters with bullets. Kettles refused to leave, however, until the fresh troops and supplies had been dropped off and the dead and wounded crowded aboard to be flown out. Kettles ran the gantlet again, bringing more reinforcements amid mortar and machine gun fire that seriously wounded his gunner and tore into his helicopter. The crew from another helicopter reported to Kettles that fuel was pouring from his aircraft. Kettles wobbled back to the base. "Kettles, by himself, without any guns and any crew, went back by himself," said Roland Scheck, a crew member who had been injured on Kettles' first trip to the landing zone that day. "Immediately, all the pilots and copilots in the company decided, 'This is Medal of Honor material right there.'" "I don’t know if there's anyone who's gotten an Medal of Honor who deserved it more," he said. "There's no better candidate as far as I'm concerned." At about 6 p.m., the infantry commander radioed for an immediate, emergency evacuation of 44 soldiers, including four from Kettles’ unit whose helicopter was destroyed at the river. Kettles volunteered to lead the flight of six evacuation helicopters, cobbled together from his and another unit. Just one soldier scrambled into his helicopter. Told that all were safe and accounted for, Kettles signaled it was time to return to base. 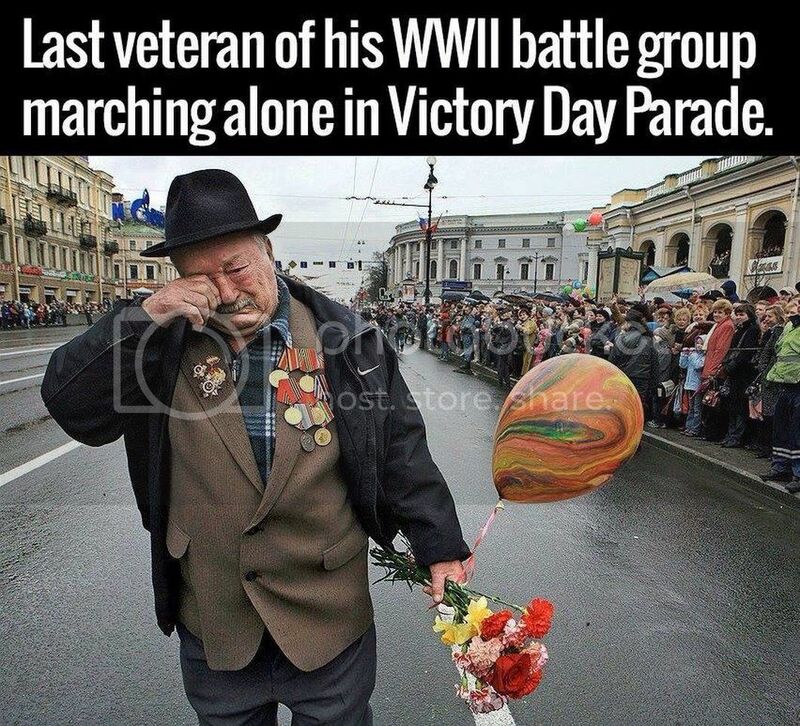 That’s when word reached Kettles that eight soldiers had been left behind. Kettles took control of the helicopter from the co-pilot and plummeted toward the stranded soldiers. The North Vietnamese trained all their fire on Kettles. As he landed, a mortar round shattered the windshields and damaged the tail and main rotor blade. The eight soldiers piled on board, raked by rifle and machine-gun fire. Jammed beyond capacity, the helicopter “fishtailed” several times before Kettles took the controls again from his co-pilot. The only way out, Kettles recalls, was to skip along the ground, gaining enough speed to get the helicopter in the air. “If not we were going to go down the road like a two-and-a-half ton truck with a rotor blade on it,” Kettles says. After five or six tries, Kettles got off the ground. Just then, a second mortar round slammed into the tail. “That caused the thing to lurch forward,” he says. “I don’t know if that helped much. I still had a clean panel, that is, the emergency panel. There weren’t any lights. Kettles acknowledges it was an extraordinary day, one that he thinks about but doesn’t dwell on. He and the other helicopter pilots and crew performed as they were trained, followed orders, completed their mission. Simple as that. The Medal of Honor, he says, “belongs to them certainly as much as myself. I just happened to be the lead position where the decisions were mine, properly so. For dozens of soldiers, especially the last eight, Kettles' decision kept their names from being etched on the black granite wall of the Vietnam War memorial here in Washington with the 58,000 others who died in the war. This is one amazing story on bravery. Thanks for your service Charles Kettles. You are a great American. windanncer, Spiritflight and renia58 like this. The President of the United States of America, in the name of Congress, takes pride in presenting the Medal of Honor (Posthumously) to Lieutenant Michael Patrick Murphy, United States Navy, for conspicuous gallantry and intrepidity at the risk of his life above and beyond the call of duty as a member of SEAL Deliver Vehicle Team ONE and the leader of a special reconnaissance element with Naval Special Warfare Task Unit Afghanistan on 27 and 28 June 2005. While leading a mission to locate a high-level anti-coalition militia leader, Lieutenant Murphy demonstrated extraordinary heroism in the face of grave danger in the vicinity of Asadabad, Konar Province, Afghanistan. On 28 June 2005, operating in an extremely rugged enemy-controlled area, Lieutenant Murphy's team was discovered by anti-coalition militia sympathizers, who revealed their position to Taliban fighters. As a result, between 30 and 40 enemy fighters besieged his four-member team. Demonstrating exceptional resolve, Lieutenant Murphy valiantly led his men in engaging the large enemy force. The ensuing fierce firefight resulted in numerous enemy casualties, as well as the wounding of all four members of the team. Ignoring his own wounds and demonstrating exceptional composure, Lieutenant Murphy continued to lead and encourage his men. When the primary communicator fell mortally wounded, Lieutenant Murphy repeatedly attempted to call for assistance for his beleaguered teammates. Realizing the impossibility of communicating in the extreme terrain, and in the face of almost certain death, he fought his way into open terrain to gain a better position to transmit a call. This deliberate, heroic act deprived him of cover, exposing him to direct enemy fire. Finally achieving contact with his headquarters, Lieutenant Murphy maintained his exposed position while he provided his location and requested immediate support for his team. In his final act of bravery, he continued to engage the enemy until he was mortally wounded, gallantly giving his life for his country and for the cause of freedom. By his selfless leadership, courageous actions, and extraordinary devotion to duty, Lieutenant Murphy reflected great credit upon himself and upheld the highest traditions of the United States Naval Service. Marine who has done more for her Country than some POS liberal scumbag will ever do. Welcome home, Marine. Semper Fidelis. Although officially listed as "Missing in Action," the Air Force concluded "All of the crew had time to clear the aircraft. The fact that five other crewmen were captured indicates a strong possibility that others were, too," and the Defense Prisoner of War/Missing Personnel Office carries him as Missing in Action as a Prisoner of War. Captain Wayne Forrest Black (AFSN: AO-590031), United States Air Force, was captured by communist forces after he was shot down over North Korea on 23 October 1951, and was held as a Prisoner of War until his death while still in captivity. Rest in peace, soldier, you earned it. 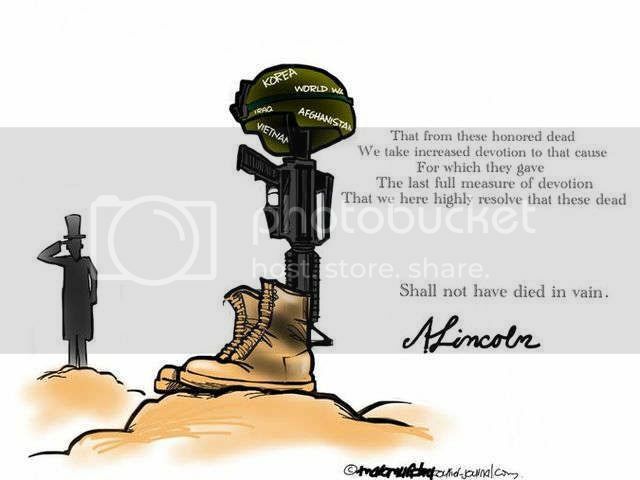 The service member killed in Afghanistan’s restive Helmand province earlier this week has been identified as Staff Sgt. Matthew V. Thompson, the Pentagon said Wednesday. Thompson’s patrol triggered a roadside bomb Tuesday, wounding another American and six Afghan soldiers. According to a statement released by the NATO-led mission in Afghanistan, U.S. troops were accompanying their Afghan counterparts near the province’s capital of Lashkar Gah when their unit came under attack. Thompson, 28, of Irvine, Calif., was assigned to 3rd Battalion, 1st Special Forces group, according to an Army release. The incident is under investigation. “He was an exceptional Green Beret, a cherished teammate, and devoted husband. His service in Afghanistan and Iraq speak to his level of dedication, courage, and commitment to something greater than himself,” said Lt. Col. Kevin M. Trujillo, the commander of the U.S. Special Operations task force in Afghanistan. According to the Army release, Thompson enlisted in the Army in 2011 and reported as a medical sergeant to 1st Special Forces Group in 2014. He was on his first stint in Afghanistan when he was killed and had previously deployed to Iraq in support of the U.S.-led war against the Islamic State there. Thompson was posthumously awarded the Purple Heart, a Bronze Star with a V for valor in combat and the Combat Infantry Badge. Helmand province has been the site of heavy fighting in recent weeks as Taliban forces have used the summer months to launch multiple offensives across the country. The group is estimated to control well over 50 percent of Helmand, and its pressure on the provincial capital has forced U.S. and NATO troops to shuttle resources to help prop up the embattled Afghan security forces. Despite their gains around the periphery of Lashkar Gah, the Taliban has been unable to enter the city limits in the face of near-constant U.S. and coalition airstrikes. On Monday, the NATO-led mission announced that 100 U.S. troops had been moved to Lashkar Gah to primarily advise Afghan police in the area. Col. Mike Lawhorn, a spokesman for U.S. forces in Afghanistan, said Thompson was not a part of the 100-troop detachment. U.S. Special Operations forces have been operating in and around the city since the Taliban began its offensive in the province earlier this summer. Thompson’s death marks the second combat death in Afghanistan this year. In January, Army Special Forces Staff Sgt. Matthew McClintock was killed in a pitched firefight alongside Afghan commandos in Marjah, a city in a fertile area just west of Lashkar Gah. Helmand province, known as the birthplace of the Taliban and nicknamed Marine-istan following President Obama’s 2009 surge into the country, is an opium-rich area that has been the scene of some of the most intense fighting of the nearly 15-year-old war. While conflict continues unabated in Helmand province, Taliban forces have also recently made gains in the northern part of the country. In the last few days, Kunduz — the city that briefly fell to the Taliban in October 2015 — has been the site of combat between Afghan security forces and the Taliban. U.S. helicopter gunships and the small prop-driven aircraft of the fledgling Afghan air force have since helped repulse attacks on the city, and officials from the NATO-led mission were optimistic that the Afghan forces would be able to hold their ground. A WW II Codetalker passes away. With great sadness we announce the passing of famed Navajo Code Talker, Private Joe Hosteen Kellwood. He was 94. In World War II, young Marine Joe Hosteen Kellwood protected vital military messages with his native Navajo language. He protected himself with sacred corn pollen hidden in chewing gum. Kellwood of Phoenix, was one of the famed Navajo Code Talkers and In 1942, at age 21, he joined the Marines leaving behind the Navajo Nation and the dusty trails of home. He told his sister, Da'ahijigaagoo deya, or, "I'm going to war." He did, but stopped first at the Navajo Talkers' School at Camp Elliott in San Diego, where he was trained. Navajo Code Talkers confounded the enemy by transmitting coded messages in their native, unwritten language, creating a double code that Japanese listeners couldn't crack. The code was so secretive that it was not declassified until 1968. As of 1945, about 540 Navajos served as Marines, according to the Naval Historical Center in Washington, D.C. About 400 of those trained as Code Talkers. Although many young Navajo recruits came straight from the reservation, Kellwood had worked as a civilian at Fort Wingate, a New Mexico Army depot. Security measures like tall chain-link fences weren't new to him. But other young recruits "saw the fences and said, 'Oh no! We're headed to prison,' " he recalled. Kellwood also remembers a religious dilemma the day he boarded a transport ship headed for Melbourne, Australia, where he joined members of the 1st Marine Division, 5th Marine Regiment. He needed to stand by the shore, place a dab of corn pollen in his mouth, drop a speck on top of his head, sprinkle the powder into the air and pray to the Holy People. His uncle had given Kellwood the corn pollen telling him, Choidiil'iil, "Use it during your journey." Give tadidiin, corn pollen, to the Pacific Ocean because that is your mother, his uncle advised. Kellwood was wary of asking for permission. So, instead, he changed his style of prayer. The Marines allowed him to chew gum, so he mixed a little gum and corn pollen, chewed it into a ball and spat it into the Pacific. Hozhoogo ndeeshdaal, "I shall return safely," he said in Navajo as he watched the sea swallow the gum and his prayer and then boarded. "I was never scared during battles because I told Mama Water to take care of me," Kellwood said. "We had to feel like we were bigger than the enemy in battle. I had my prayer and my chewing gum." On behalf of a grateful nation, we salute Navajo Code Talker, Private Joe Hosteen Kellwood for his dedication and service to our nation. wardancer, windanncer and renia58 like this. 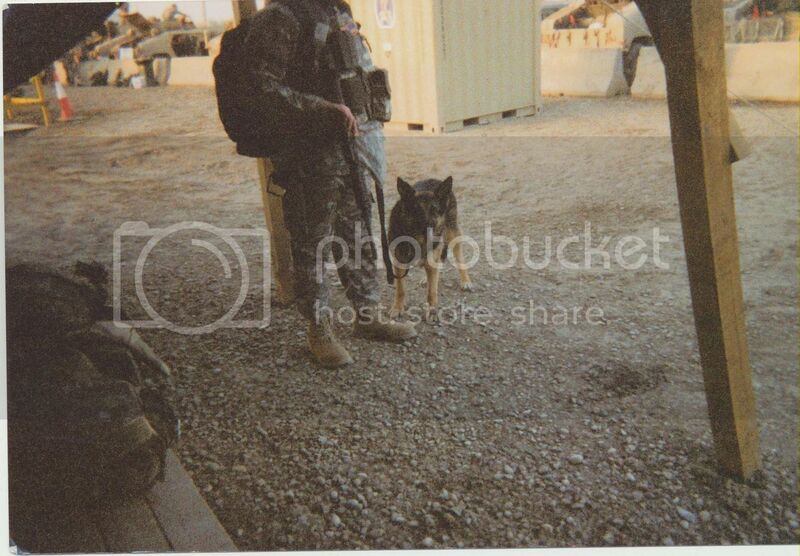 I found the photo of the MWD that rolled with my platoon in Iraq 2005. 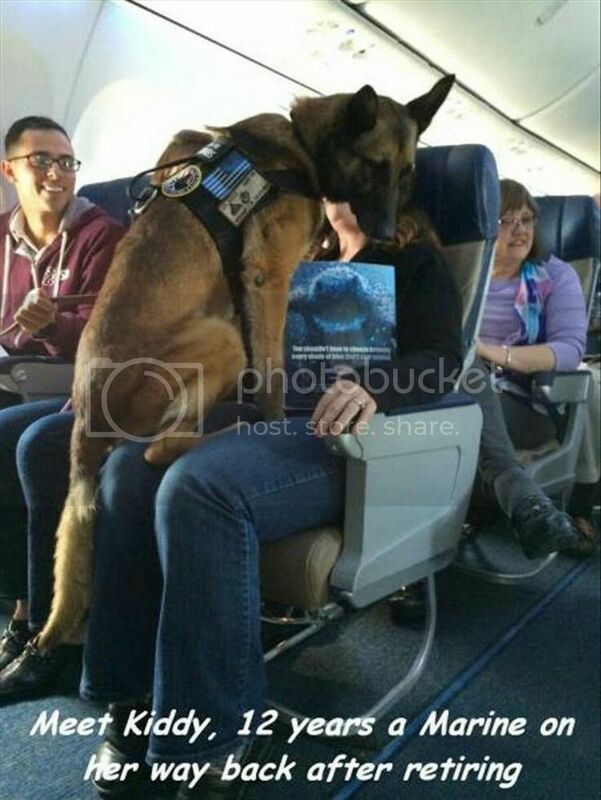 MWD is, Military Working Dog. He was an awesome dog. He was KIA in December 2005. by an IED near Route Michigan in Baghdad, Iraq. The sailor was listed as missing after USS Oklahoma capsized in Pearl Harbor during the Japanese attack. The Navy seaman, who served aboard the USS Oklahoma, will soon be coming home to be buried next to his brothers at the Whitewater cemetery after his remains were identified using DNA technology. The announcement was made Sunday at the Haysville Veterans of Foreign Wars Post 6957. Wagoner’s family, who is from Haysville, and Sedgwick County leaders gathered at the local VFW on Sunday. Lewis Wagoner was born on Kansas Day – Jan. 29 – in 1921 in Missouri. Shortly afterward, the family moved to Whitewater. He was the oldest of eight boys. Merle Wagoner, one of Lewis’ brothers, died three years ago. On hand Sunday were Merle’s wife, Doris; his son, Ron; and two daughters, Brenda Leis and Becky Wagoner. Through the years, the Wagoners had become friends with two other Wichita-area Pearl Harbor survivors and shipmates from the USS Oklahoma, Arthur Dunn and Paul Aschbrenner, both of whom have since died. Through the years, the family said, it was always a mystery what had happened to Lewis Wagoner, who was 20 when he died. His picture was always on display at his parents’ house and, later, at his youngest brother’s house. A surviving brother, Carl Wagoner, lives in Utah but was not at the service on Sunday. As Denison spoke on Sunday, members of the VFW had 50 black and white helium-filled balloons they were scheduled to release honoring the post. One black balloon gently floated down from the ceiling and toward Denison at the podium – he said “hello” to it – and then the balloon floated and stayed next to Wagoner’s family for the duration of the service. It was a sign, Brenda Leis said afterward – perhaps of her uncle’s or father’s spirits. “It was odd, I think, that was the one that didn’t have enough helium; it was weird how it floated over and in front of us,” Doris Wagoner said. As far as her husband and Lewis? Three months after Merle Wagoner died in 2013, Doris Wagoner said, she received a phone call saying there was a possibility the remains might be identified. Her husband, she said, was only 7 when the Pearl Harbor attack occurred on Dec. 7, 1941, and did not have any significant memories of his oldest brother. Wagoner’s remains will be flown to Wichita on Oct. 7. A memorial service is scheduled for Oct. 8 at Smith Mortuary in Haysville, with interment scheduled later that day in Whitewater. 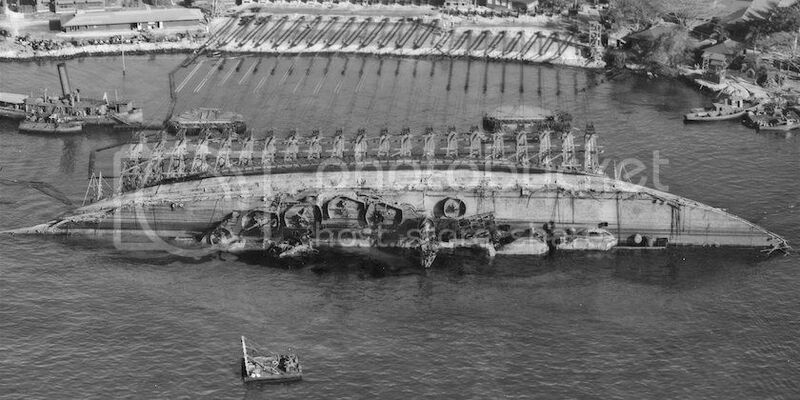 The USS Oklahoma was in berth F-5 of Battleship Row on Dec. 7, 1941. The ship took three torpedo hits within minutes after the attack began shortly before 8 a.m. In all, it took nine torpedo blows. In less than 12 minutes, the ship rolled over, trapping many of the sailors. In recent years, advances in DNA research have enabled military authorities to identify remains of the long-dead, many from mass graves. Since the early 1990s, the Department of Defense DNA Registry has conducted a massive program to catalog the DNA of current and past members of the armed forces. The remains of 35 crew members were positively identified in the years immediately following the attack. But 429 sailors and Marines were listed as killed or missing. In 1949, a military board classified their remains as nonrecoverable. But in May, Navy Seaman 2nd Class Dale Pearce, who was serving on board the USS Oklahoma when the attack occurred, had his remains identified and returned home to Dennis, about 8 miles from Parsons in Labette County. There may be more remains to come, Denison said. Wagoner family members say Lewis Wagoner will receive full military honors. “It was a hard-working family. I think it is great he is finally coming home,” said Ron Wagoner. Fair Winds and following seas, Sailor. Welcome Home. Rest in peace. John Chapman became the first U.S. Air Force Combat Controller to earn the Air Force Cross in any war in history. During the 17-hour engagement called the "Battle of Robert's Ridge," he was one of TWO Airmen posthumously awarded the Air Force Cross. Eight other Airmen received Silver Stars for this action. The battle was so-named because it followed an incident in which Navy Seal Neil Roberts fell from a helicopter as it attempted to land on a mountaintop controlled by al Qaeda fighters, initiating an intense and heroic rescue effort. The President of the United States of America, authorized by Title 10, Section 8742, United States Code, takes pride in presenting the Air Force Cross (Posthumously) to Technical Sergeant John A. Chapman, United States Air Force, for extraordinary heroism in military operation against an armed enemy of the United States as a 24th Special Tactics Squadron, Combat Controller in the vicinity of Gardez, in the eastern highlands of Afghanistan, on 4 March 2002. On this date, during his helicopter insertion for a reconnaissance and time sensitive targeting close air support mission, Sergeant Chapman's aircraft came under heavy machine gun fire and received a direct hit from a rocket propelled grenade which caused a United States Navy sea-air-land team member to fall from the aircraft. Though heavily damaged, the aircraft egressed the area and made an emergency landing seven kilometers away. Once on the ground Sergeant Chapman established communication with an AC-130 gunship to insure the area was secure while providing close air support coverage for the entire team. He then directed the gunship to begin the search for the missing team member. He requested, coordinated, and controlled the helicopter that extracted the stranded team and aircrew members. These actions limited the exposure of the aircrew and team to hostile fire. Without regard for his own life Sergeant Chapman volunteered to rescue his missing team member from an enemy strong hold. Shortly after insertion, the team made contact with the enemy. Sergeant Chapman engaged and killed two enemy personnel. He continued to advance reaching the enemy position then engaged a second enemy position, a dug-in machine gun nest. At this time the rescue team came under effective enemy fire from three directions. From close range he exchanged fire with the enemy from minimum personal cover until he succumbed to multiple wounds. His engagement and destruction of the first enemy position and advancement on the second position enabled his team to move to cover and break enemy contact. In his own words, his Navy sea-air-land team leader credits Sergeant Chapman unequivocally with saving the lives of the entire rescue team. Through his extraordinary heroism, superb airmanship, aggressiveness in the face of the enemy, and the dedication to the service of his country, Sergeant Chapman reflects the highest credit upon himself and the United States Air Force. Fred V. Cherry, an Air Force fighter pilot, was downed by enemy fire over North Vietnam in 1965, and he spent more than seven years as a prisoner of war. He had grown up in the Jim Crow South, and his captors made it clear that he could mitigate the harshness of his incarceration, including routine torture, and improve his living conditions by speaking out against the racial injustice and discrimination he had faced as an African American in the United States. When beatings failed to bring him around, his jailers tried another tactic. They assigned a self-described “Southern white boy” as his cellmate, hoping that racial antipathy between the two men would weaken his resolve and produce a propaganda triumph for North Vietnam. Instead, the two men, Col. Cherry and a Navy fighter pilot, then-Ensign Porter Halyburton, became fast and lifelong friends. Each would credit the other with having saved his life. Matthew Rierson was subsequently killed on October 6, two days after the "Black Hawk Down" mission, when a stray mortar shell landed near him as he chatted with other soldiers near the airport hangar. The President of the United States of America, authorized by Act of Congress, July 9, 1918 (amended by act of July 25, 1963), takes pride in presenting the Silver Star (Posthumously) to Sergeant First Class Matthew Loren Rierson, United States Army, for conspicuous gallantry and intrepidity in action against hostile enemy forces while serving with the 1st Special Forces Operational Detachment - Delta, Task Force RANGER, Special Operations Command, during combat operations in Mogadishu, Somalia, on 3 and 4 October 1993. Sergeant Rierson was part of the assault force which conducted an air assault raid deep into the enemy sector. Following the successful apprehension of two key militia officials and twenty-two enemy soldiers, Sergeant Rierson accompanied the detainees and wounded personnel to his base in the vehicular convoy. This convoy came under intense enemy fires, during which time, numerous friendly casualties were suffered. With total disregard for his own personal safety, Sergeant Rierson repeatedly dismounted his vehicle, exposing himself to enemy fire, in order to direct the drivers through enemy roadblocks and ambushes. It was due in part to his exceptional leadership that the convoys were able to reach the base safely. Sergeant Rierson then immediately accompanied the relief element headed for two downed helicopters. Once again, Sergeant Rierson demonstrated calm, effective leadership under fire that allowed the stalled convoy to fight its way to the crash site. At the crash site, Sergeant Rierson directed his team in a security position while the body of the pilot was recovered. His team provided security throughout the night as the enemy repeatedly tried to overrun the site. Sergeant First Class Rierson's heroic actions saved the lives of fellow comrades and reflect great credit on himself and the United States Army. CAMP PENDLETON, Calif. – Camp Pendleton hosts a ceremony unveiling a statue dedicated to Staff Sgt. Reckless, the famous Korean War pack horse, at the Pacific Views Event Center, Oct. 26, 2016. Brig. Gen. Kevin Killea, Commanding General, Marine Corps Installations West – Marine Corps Base Camp Pendleton, as well as many Marines who served in the Korean War with Reckless, attended the ceremony. Reckless’ finest hours came at the Battle of Outpost Vegas in March of 1953, where she made 51 solo trips in a single day, transporting 386 recoilless rifle rounds to the front lines. As Reckless took care of the Marines, the Marines took care of her, shielding the war horse with their flak jackets to protect her from heavy enemy fire. Reckless was awarded two purple hearts, a Marine Corps Good Conduct Medal, a Presidential Unit Citation with a bronze star, the National Defense Service Medal, a Korean Service Medal, the United Nations Korea Medal, a Navy Unit Commendation, a Republic of Korea Presidential Unit Citation and, posthumously, was awarded the Dickin Medal. After serving in the Korean War, Reckless’ final duty station was Camp Pendleton where she stayed until her death in 1968. Reckless was buried with full military honors.